The sweaty summer season is here. Make sure you don’t get stuck in a rut with an AC that’s not up to speed. 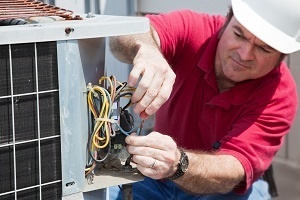 Here are four key AC repairs you should not avoid when getting HVAC service in Roswell, GA, this summer. You know what refrigerant is, right? Much like how it’s needed to keep your car cool, it’s needed to help keep your AC keep cool air cool. Refrigerant leaks are one of the most common repair issues for AC units, and it’s to be expected that maintenance or repair work is needed if you notice anything leaking. Have a technician take a look at your refrigerant lines and make the needed repairs to ensure that your air isn’t just air, but that it stays cool. Condensation is when water sweats onto a surface out of the atmosphere around it. 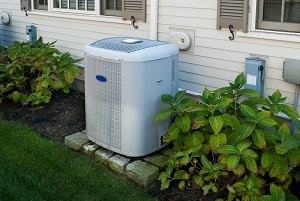 Condensate is that accumulation, and it can form whenever proper maintenance is not performed on your AC unit. This water accumulation risk could result in unwanted water building within your home, which can lead to a range of other issues, including mold. Make sure that you get these lines cleaned and so you aren’t creating a long-term, expensive issue. Fans don’t turn in your AC unit without a fan belt. This essential item can snap and leave you without any air circulation. Luckily, the issue isn’t too difficult to identify or to fix—it just takes the right tools and parts. Contacting your AC repairman to get them on the site means that they should have your belt replaced and your AC up and running again fairly quickly. If you can check the inside of your unit regularly and keep an eye out for severe fan belt damage, you may even be able to get the belt replaced as needed before it snaps. Not often, but sometimes you get more major issues with your AC once summertime rolls around again and it’s time to kick on those units. This can lead to some serious discomfort on your part, but getting an expert on-site for proper and regular maintenance before the summer season really kicks in can help you to avoid any sudden and unexpected issues with your unit. Consider these and other maintenance and repair needs as you search for the right HVAC service in Roswell, GA. The repair technician that you choose should be ready and fully equipped to help with these and other service needs.